DENVER, Co. — A report released on Thursday by the Heroin Response Work Group in Colorado reveals that heroin-related deaths have doubled over the past five years. While the extent of the problem hasn’t been labeled epidemic at this point, the Work Group, which was formed in May 2016 under the Colorado Consortium for Prescription Drug Abuse Prevention, found that heroin use is a significant concern in the state. A reported 160 residents died from heroin use in 2015, compared to 79 in 2011. Police also confiscated 268.7 pounds of heroin in 2015, as opposed to just 16 four years prior. Narcan, a drug used to revive those who overdose on opioids, was used 3,393 times in 2015, up from 997 instances in 2011. 6,815 residents were treated for heroin addictions in 2015, compared to 2,994 four years prior. The Work Group also conducted a survey of patients at all nine of the Denver-Metro methadone clinics and found that out of the nearly 700 persons surveyed, the vast majority have used heroin. “The majority (85 percent) of respondents indicated they had ever injected heroin. When asked about the primary reason for transitioning to injection use, the two primary reasons cited were curiosity/experimentation, and to get a better/quicker high,” it outlined. The survey additionally found that 48.8 percent of respondents used heroin at least four times a day, and most used injection methods. The Work Group concluded from its research that blood-borne diseases are a significant concern in the state due to the prominent use of needles, which are often not sterile. It noted that drug deaths in general have tripled since 2000. “From 2000-2015, there were 10,552 drug overdose deaths among Colorado residents with age-adjusted rates rising almost every year. 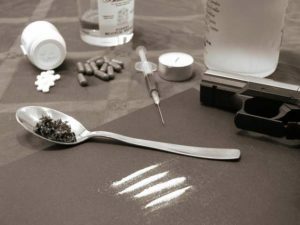 In nearly every year, Colorado’s rate of drug overdose was significantly higher than the national rate,” the report outlined. Dr. Larry Wolk, the director of the Colorado Department of Public Health, told KUSA-TV that heroin use is not limited to the young or to any particular income bracket.